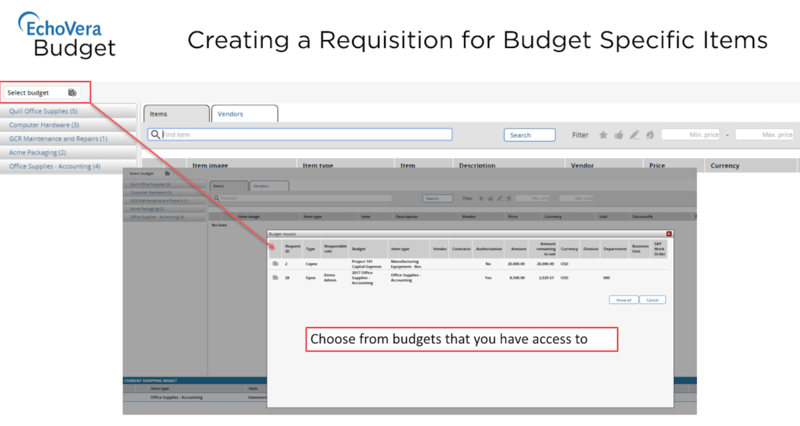 Budget Software for Business Ties Transactions Together - Amen! 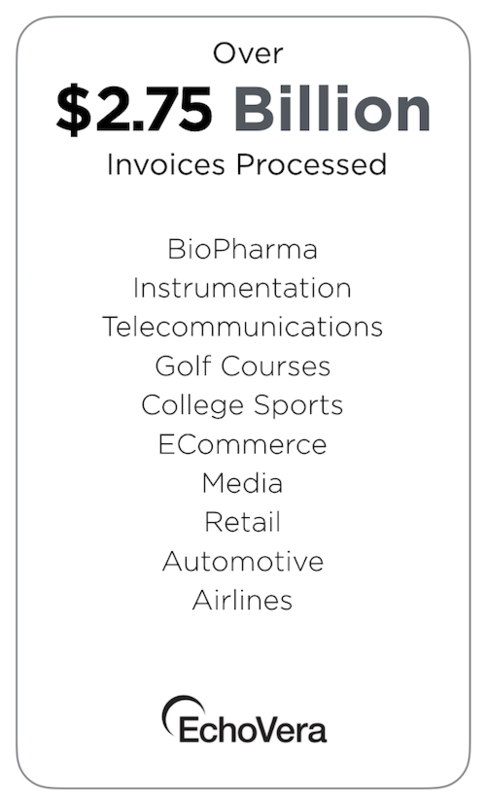 One of the best features of great budget software for enterprise is the ability to tie transactions together. You can also monitor the actual budget amount used – useful as you process each piece of the transaction and for auditing purposes later. So what does it look like? The example below is based on the user having a specific GL account and department. 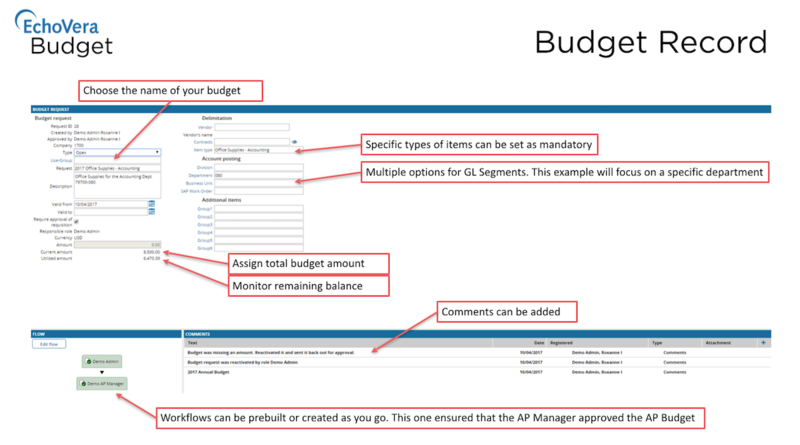 Keep in mind the user has the option to browse items that are approved for a specific budget AND/OR there are rules set on the item type to require a budget to be assigned AND/OR the administrator can leave the fields open for users to decide where assigning a budget is appropriate. 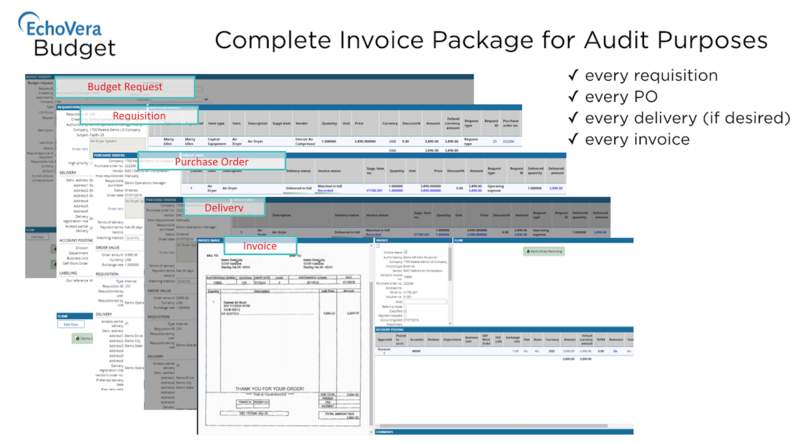 One of the key benefits of EchoVera’s Budget is being able to see the budget request, the requisitions, purchase order, delivery, and invoice – all as a complete package – for audit purposes. For more information about EchoVera Budget, click here.